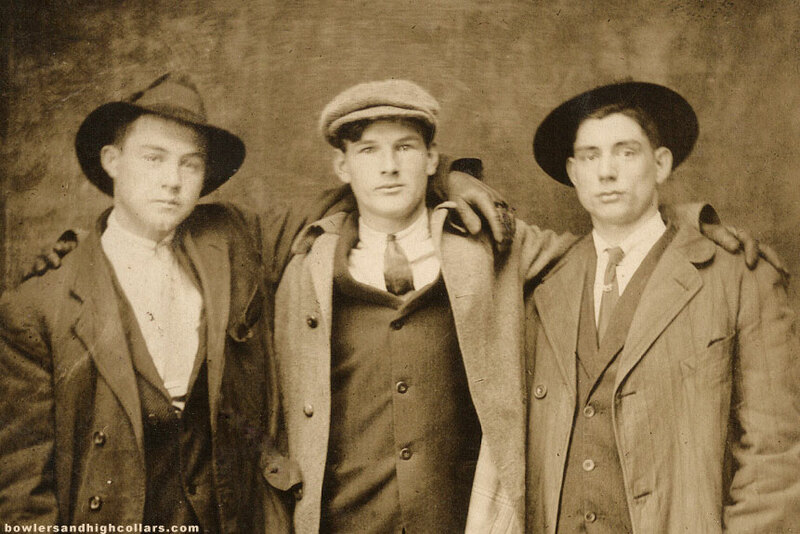 Three tight buddies in gloves, overcoats and American Boston shoes (sometimes called Bulldog shoes) which made their debut in 1910. I have nothing more to say about this one. This sweet photo speaks for itself, and of course I love the fashion! This entry was posted on Tuesday, April 14th, 2015 at 4:34 pm	and tagged with 1910s, American Boston shoes, bulldog toe, edwardian, fedora, jaunty cap, overcoat, trio and posted in Groups, RPPCs. You can follow any responses to this entry through the RSS 2.0 feed.